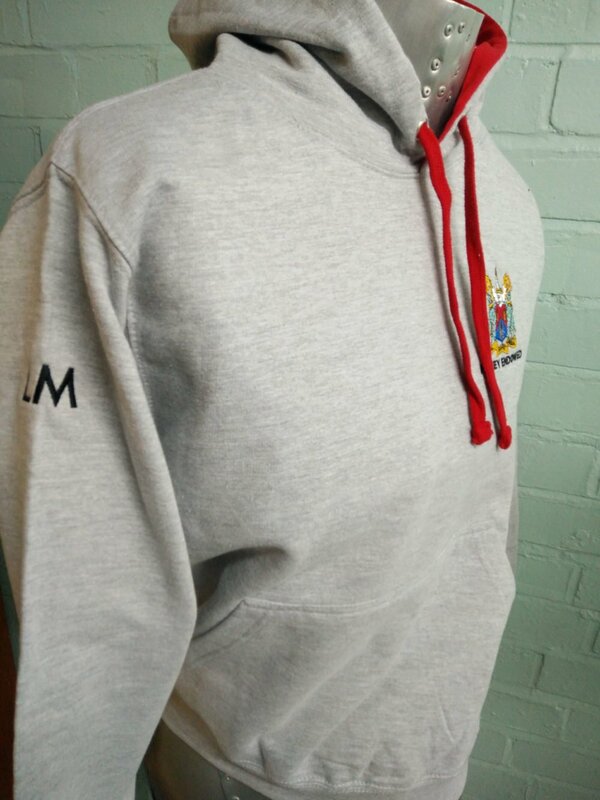 Two colour hoodies in red and grey marl. 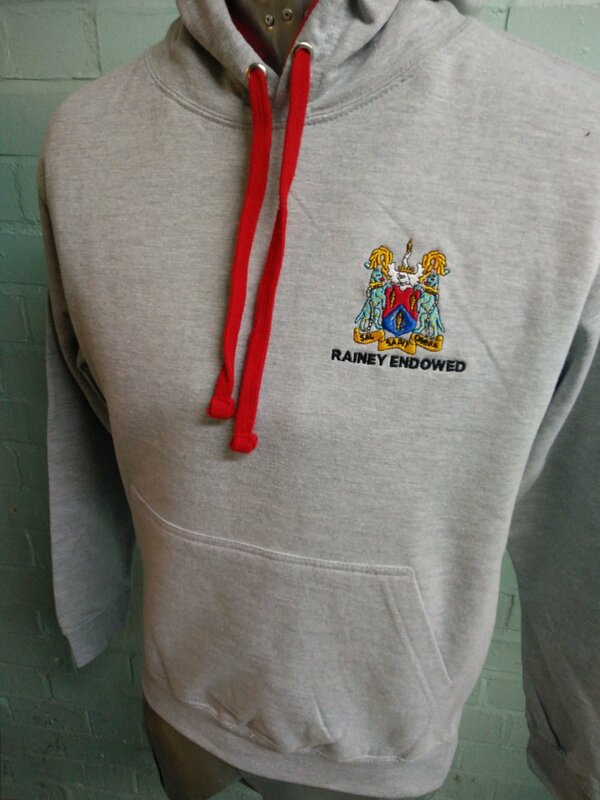 With grey marl on most of the hoodies but red inside the hood and on the hoodie strings. 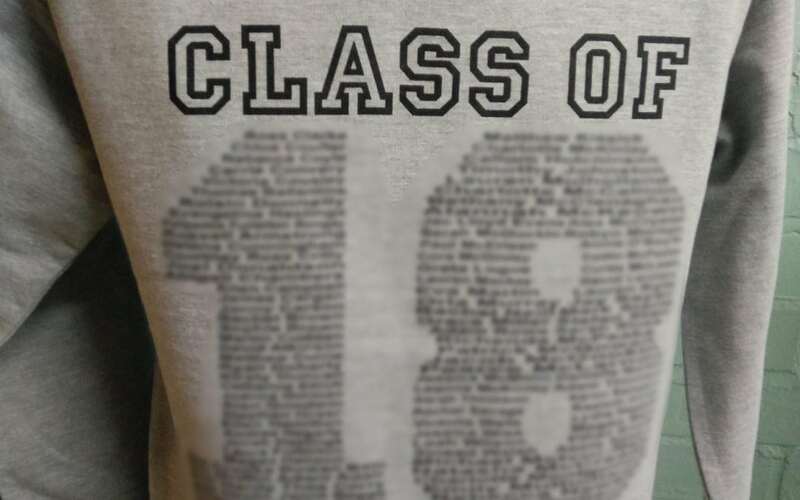 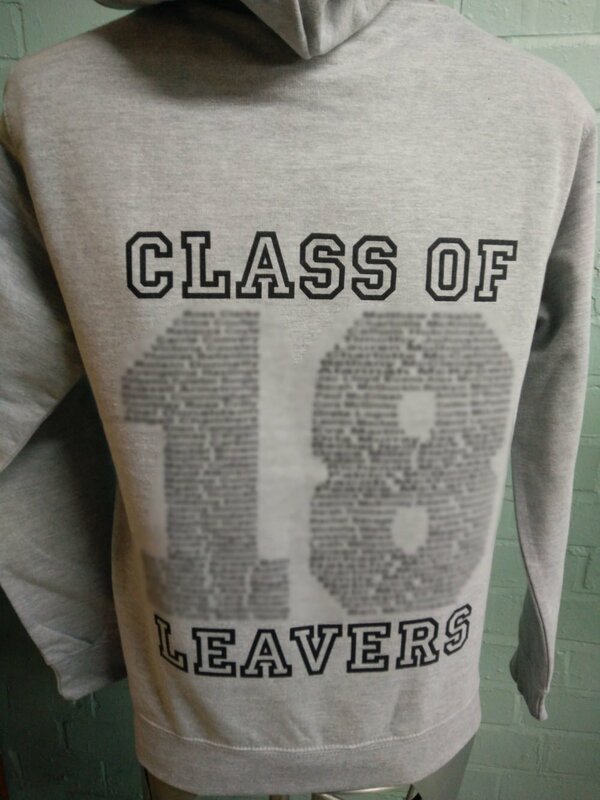 with full colour embroidered logo on the front and leavers print in black with custom names on the back.